Hello Robin and Happy Book Birthday!! Hi Mo, and thank you for interviewing me! 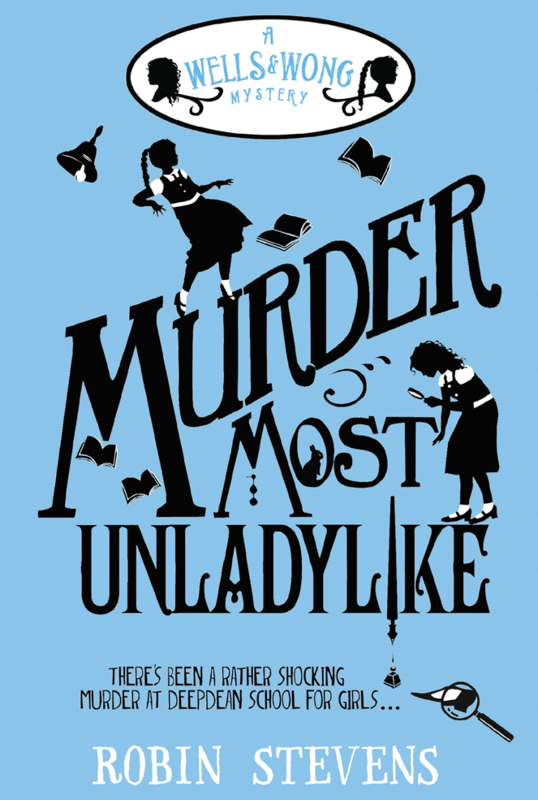 Your amazing debut novel, Murder Most Unladylike, really took off last year. It was nominated for various awards and I even heard you talking about it on Radio 4! Congratulations! What was it like living the excitement of your first book’s success while writing the second? It was quite a strange year! I was really lucky (or speedy – or something) in that I managed to finish the first draft of Arsenic for Tea before Murder Most Unladylike’s release date. So when lots of amazing things were happening with Murder Most Unladylike (Woman’s Hour was definitely a highlight!) I could just retreat to the bit of writing I like best, revising. This did mean, though, that by the time people started talking about how much they liked the school setting of the first, the second was already set in a country house, not a school, causing me massive anxiety about whether readers would reject Arsenic for Tea for not being a boarding school story. Luckily, so far they largely seem to be OK with it! Arsenic for Tea is now out in the shops. There are lots of young avid mystery readers who’ve been waiting to see what adventures Hazel and Daisy will get up to next. Can you tell us anything about this newest Wells and Wong mystery? I can’t believe that it’s out there at last! As I said above, this case sees Daisy and Hazel outside school. They’re on their holidays in Daisy’s country mansion, Fallingford, and it’s Daisy’s birthday. Her family (and a few friends) are assembled for her birthday party, but when one of them falls suddenly and mysteriously ill at tea, it’s clear that a dastardly deed has been committed. And it’s also clear that most of the suspects are Daisy’s own family . . . I love this mystery because it let me go a bit deeper into Daisy’s background. When I was writing Murder Most Unladylike, I knew she had some very odd family members (you don’t get to be the sort of person she is without some help). I teased a few key things about them in that book, and Arsenic for Tea follows on from those hints. You get to meet the mysterious Uncle Felix, for a start . . . I came home with a copy of Arsenic for Tea last week, very excited to read it myself, but I live with a very determined ten year old and she managed to pinch it to read first. When I told her that I was interviewing you for your book birthday she handed me a list of questions. So, if it’s ok with you, the rest of your book birthday interview is supplied by one of your avid young mystery fans. That’s more than OK with me! I’m a huge fan of my fans, who I think could all give Hazel and Daisy a run for their money. I also particularly liked the photo your daughter sent me – it’s nice to know that animals can read Wells & Wong too. Why did you choose to set your books at a boarding school? Very simply, I went to boarding school myself! I was sort of following the ‘write what you know’ rule – although of course I’m not quite old enough to have been in school in 1934. But boarding school is also great as the setting for a mystery because it’s so closed off from the rest of the world. It’s hard to get in or out of it, so when a crime happens you know exactly who the suspects must be! Oh, definitely quite a lot like Deepdean, although completely lacking in murder. We had bunbreaks and studied Latin, my friends and I lived in dorms, and I spent more time than I was happy with shivering on hockey pitches. Deepdean is the only character in Murder Most Unladylike I didn’t make up! At school, do you think you were more of a Daisy or a Hazel? Definitely more of a Hazel! Daisy was the sort of girl I wished I could be – so poised and pretty and interesting, while I felt like I was always falling over my feet, covered in spots and with my hair sticking up. Now I realise, though, that those girls I envied were just as insecure and weird as I was – they were just better at hiding it. And better at sports. How many more Wells and Wong Mysteries do you think you will write? I hope I’ll write lots! I have plenty more ideas. It’s not always up to the author, so we’ll have to wait to find out for sure, but don’t worry, I don’t think we’ll be seeing the last of Daisy and Hazel for a while. Can you tell us anything about the next one after Arsenic for Tea? I can! I’m working on it at the moment, so it’s all I can think about. It’s called First Class Murder, and it takes place a few months after Arsenic for Tea. It’s Daisy and Hazel’s summer holiday, and Hazel’s father has a treat for them: he’s taking them on the Orient Express. But, of course, crimes have a way of happening when Daisy and Hazel are around, and soon their holiday turns into their toughest murder case yet. Spies, jewels and magic tricks may be involved . . .
Why did you choose to set Arsenic for Tea at Daisy’s family’s house? When I was growing up I had a lot of friends who had big country houses (I went to boarding school, after all! ), and I loved going to visit them. Country mansions feel so separate from the rest of the world, almost like they’re more than just houses. There are so many corners to hide in, and secret passages, and weird rooms that no one goes into for reasons that they can’t explain. When I was trying to come up with a setting for my second book, I thought about a country house at once. It’s absolutely perfect for a murder! Who was your favourite author when you were growing up? Diana Wynne Jones. 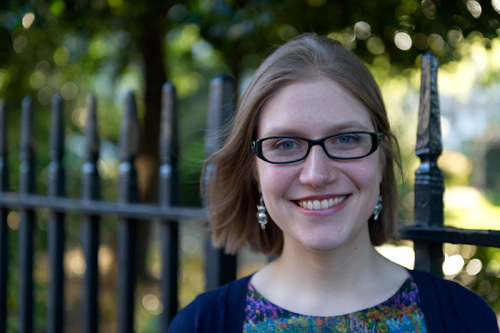 I love her books – she writes about witches and wizards and alternate universes, but she always makes her characters seem so real. I felt like they could actually be my friends, and I remember deciding that when I wrote books, I wanted to make the people in them that vivid and interesting. How did you research all the poisoning and the ways to kill people? I know this is going to disappoint you, but I didn’t actually poison anyone. Though I think my family worried I might . . . Instead, I read a lot of Agatha Christie novels, which is a really good way to learn about poisons – she used to work at a chemist’s during World War One, so she knew her stuff and put it all in her books. Then I went and bought some books about real historical poisonings, and one incredible book about the history of arsenic in England. The reason why so many old murder mysteries use it as the weapon is because it used to be in everything – not just in rat poison, which is what I use in Arsenic for Tea, but in paint, in fabric and even in food. I’m not even kidding. History is amazing (and scary). The main thing my research taught me, though, is that you don’t ever want to be poisoned with arsenic. It’s really nasty. So please don’t try it at home. Congrats again on the publication of Arsenic for Tea. Having read the book while walking to school, eating dinner and even brushing her teeth, my daughter finished Arsenic for Tea in few days. Which means I get it next!! I can’t wait. Thanks so much for answering our questions. Hooray! Thanks, both of you – they were fantastic questions! The Detective Society would be proud. Mo’s book for 7+, “My Big Fat Zombie Goldfish” is published with Macmillan in Feb 2013 in the UK and in July 2013 in the US. Her second book in that series( My Big Fat Zombie Goldfish The Sea-Quel) will come out in July 2013 in the UK and in winter 2013 in the US. She also wrote six books in the Ladybird series “Puddle the Naughtiest Puppy.” Mo worked as an actress and as a storyteller, touring theatres and schools all across the UK and Ireland. 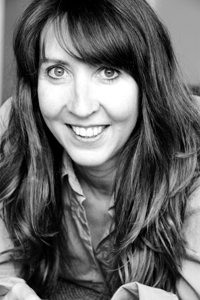 As well as her stories for children Mo has also writen for radio and theatre and has performed her own comedy material in London and Edinburgh. This entry was posted on January 30, 2015 by authorallsorts.